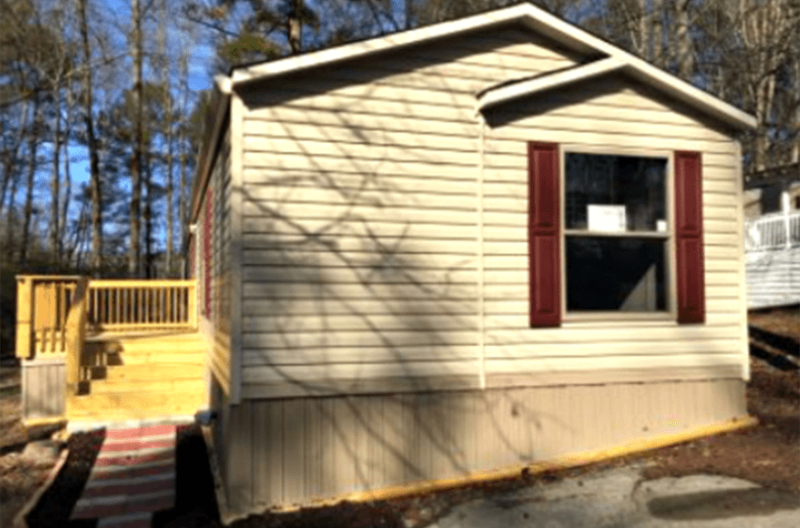 This cozy new River Birch home includes 3 bedrooms and 2 fully upgraded bathrooms. The master bathroom has 2 vanities and a tub/shower combination. 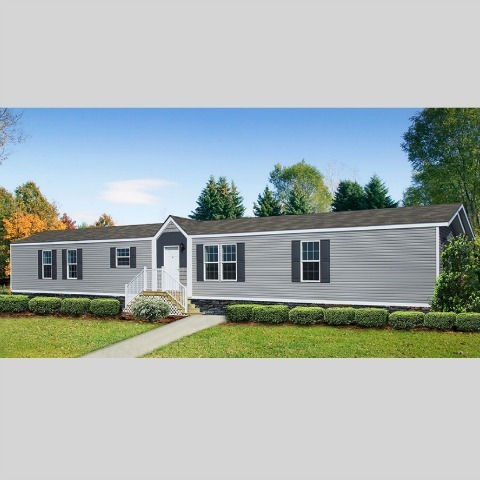 The open floor plan kitchen and dining room area comes equipped with all the latest desired upgrades like all black appliances, cherry cabinets and a stainless steel sink. The color scheme throughout the house is light and bright while the wood-look high quality vinyl on the floor is so easy to maintain. 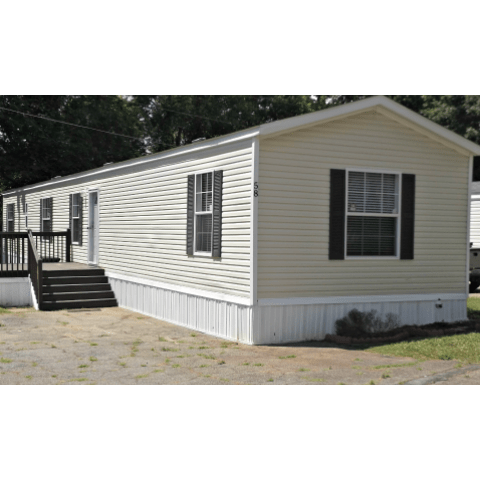 There is a conveniently located laundry / utilities area equipped with washer and dryer connections by the back entrance and porch. The bedrooms have wall to wall carpeting for extra comfort. 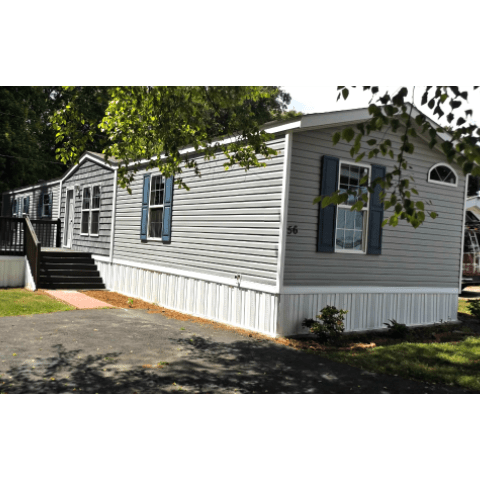 The home also has Central HVAC, a shingle roof, vinyl siding, 2 big porches (5′ x 10′ and 4′ x 10′) and its hitch was removed. 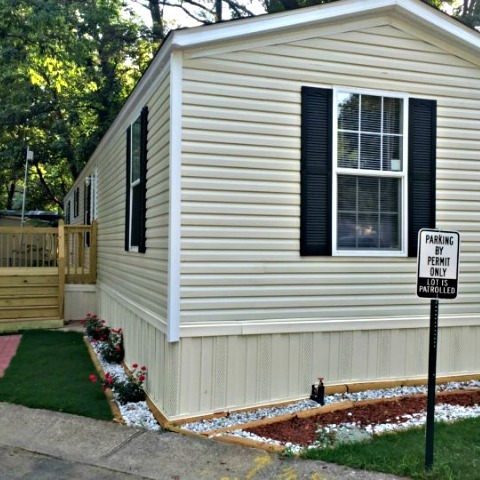 This manufactured home could be yours with a down payment of $4,000 and monthly payments of $418 or less in 12 years. We will be happy to discuss our different Lease-Option alternatives with you and go over our convenient no-cost 5-minute seller-finance Pre-Qualification Worksheet. 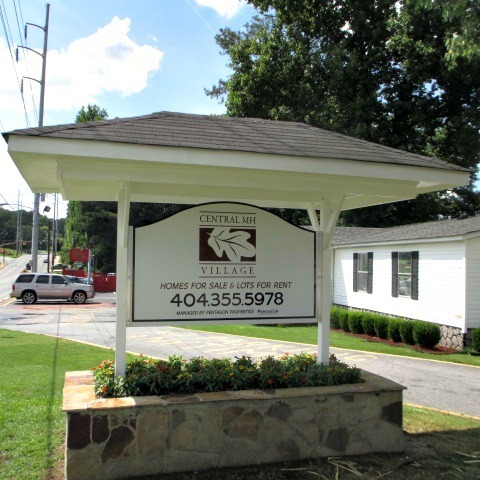 Please call us today at (404) 355-5978 to schedule your private tour of this home and our beautiful Central Village community with one of our friendly team members.